Convenient for the worldwide traveler too ! 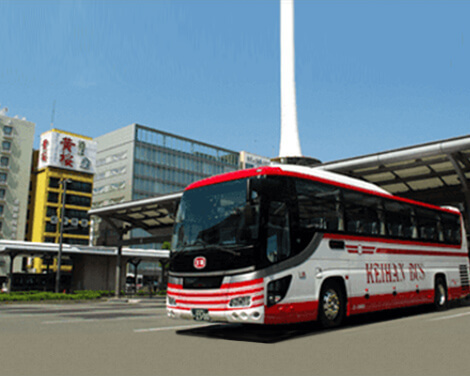 Travel around Kyoto on Kyoto Sightseeing Bus and Kyoto Sky Bus! 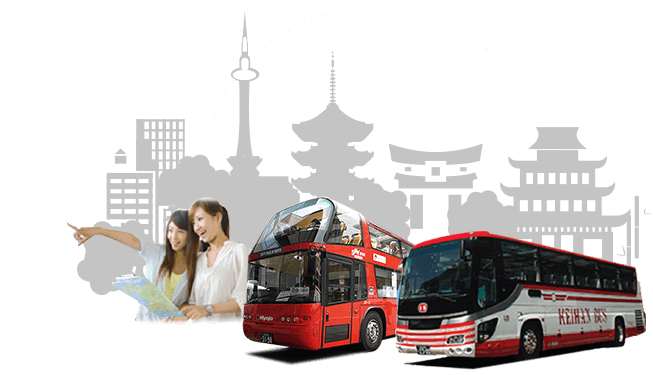 If you would like to tour Kyoto, but are worried about your Japanese ability and whether you can make bus and train transfers properly, we have the answer. 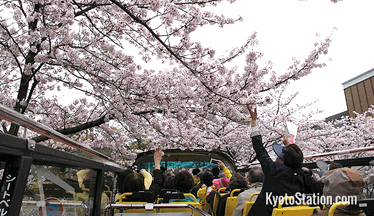 We recommend the city's Kyoto Sightseeing Bus, which takes you to Kyoto's main sightseeing spots. Various tours are lined up! 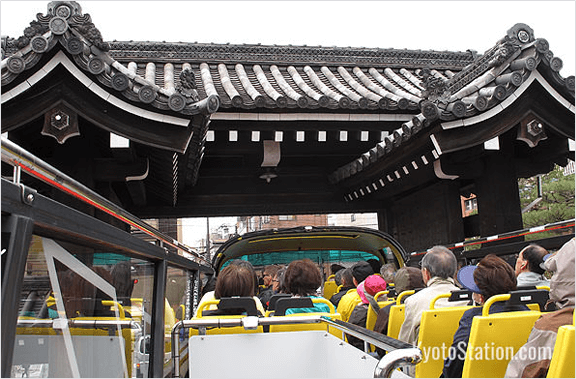 With the on-board audio guide system in English, Chinese and Korean, Kyoto sightseeing bus realized the easy and comfortable tour of Kyoto. 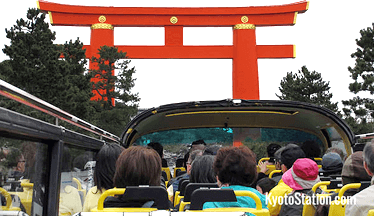 Kyoto SKY BUS offers the on-board sightseeing in Kyoto. Equipped with the on-board audio guide system in English, Chinese and Korean, guests from all over the world will enjoy sightseeing and guidance. The on-board multi-lingual audio guide in English, Chinese and Korean can provide description of the attactions on the way. No bus or train transfers necessary. Sightseeing entrance fees included. No extra payment. Note: 1 The tour guide will speak in Japanese. For other languages, use multi-lingual audio guide system. * The roof of the main hall of Kiyomizudera Temple is under construction. However, the site is open to the public. Time to buy lunch near Kiyomizudera. 1.The roof of the main hall of Kiyomizudera Temple is under construction. However, the site is open to the public.2.Equipped with the on-board audio guide system in English, Chinese and Korean. * The system may not be available due to maintenance. *The additional departure at 9:30 (not on a regular basis) DOES NOT provide a multi-lingual audio guide on board. 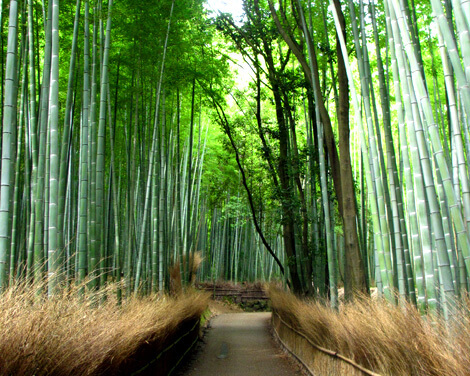 Time to buy lunch in Arashiyama. 1.When the romantic train is cancelled, this tour will also be cancelled. 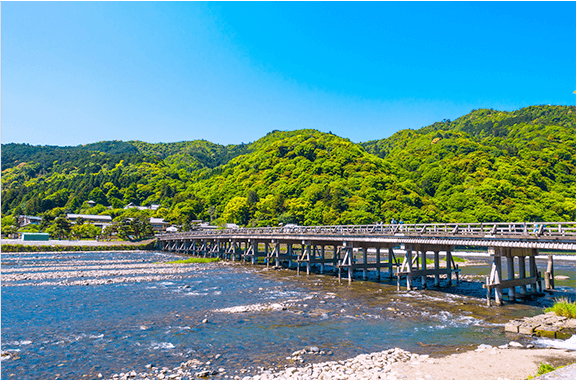 2.The Hozu-gawa River Boat Ride might be cancelled due to reasons such as rising water levels. In this case, a part of the program will be subject to change. 3.Equipped with the on-board audio guide system in English, Chinese and Korean. *The system may not be available due to maintenance. Kyoto Tokyu Hotel, Rihga Royal Hotel Kyoto, Hotel Keihan Kyoto Grande, and hotels in front of Kyoto Station. Please get off at Karasumaguchi Terminal. 1.Night view is subject to change due to weather and traffic conditions. 2.Equipped with the on-board audio guide system in English, Chinese and Korean. *The system may not be available due to maintenance.) 3.Vegetarian or allergy friendly menu are not available	4.There is an extra fee for drinks, please pay upon ordering (cash only). 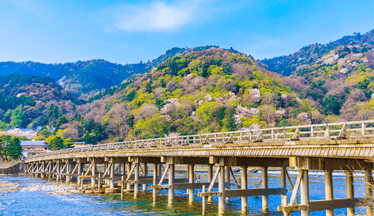 1.An English-speaking guide accompanies you when visiting Fushimi Inari Shrine.2.Equipped with the on-board audio guide system in English, Chinese and Korean. Everyday except for May 1 and every Tuesday in July and August. 1. Equipped with the on-board audio guide system in English, Chinese and Korean. * The system may not be available due to maintenance. 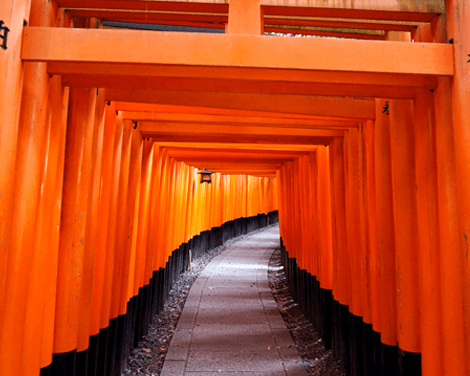 * An English-speaking guide accompanies you when visiting Fushimi Inari Shrine. 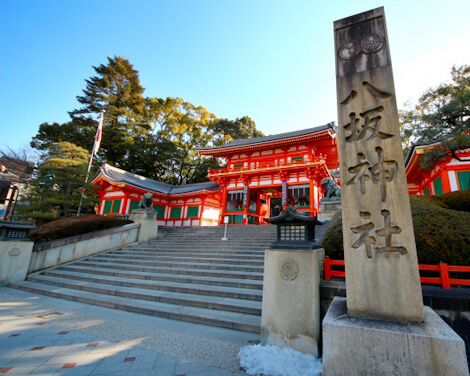 1.An English-speaking guide accompanies you when visiting Fushimi Inari Shrine. 2.Equipped with the on-board audio guide system in English, Chinese and Korean. * The system may not be available due to maintenance. There is a special service called 「Maiko no Oshaku」for customers who order beer or sake, where the Maiko pours the beer or sake into your glass/cup. 1.Vegetarian or allergy friendly menu are not available	2.There is an extra fee for drinks, please pay upon ordering (cash only). 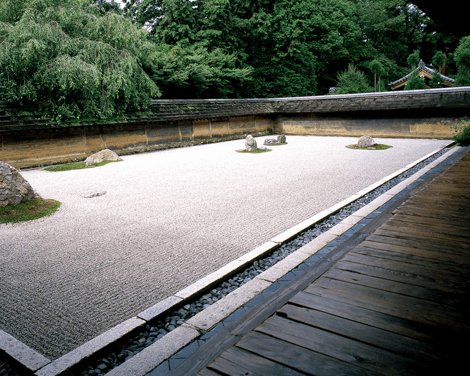 major sites, and is also an enjoyable way to learn a little about Kyoto’s history and culture. Note: 1 The tour guide can only speak in Japanese. 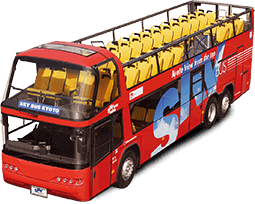 * Equipped with the on-board audio guide system in English, Chinese and Korean. 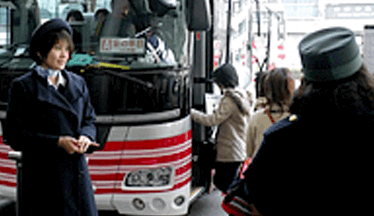 ※3:00PM departure will be out of service from March 23 to April 10 and July 15 to 16, 2019. 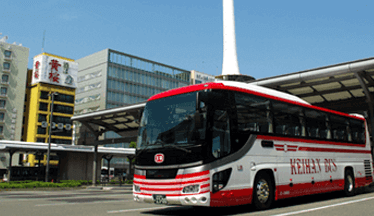 ※1:00PM departure will be out of service from March 23 to April 10 and July 15 to 16, 2019. * Raincoats will be provided if it rains. The tour may be suspended or cancelled if the weather is deemed too hazardous to run a safe service. All the seats are on the upper deck that has no cover. Please bring extra clothes that meet the weather conditions. 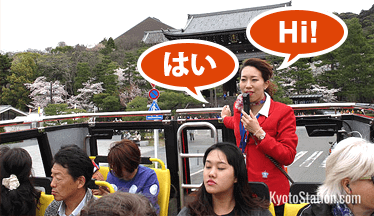 Some tours are equipped with the multi-lingual audio guide in English, Chinese and Korean. * The system may not be available due to maintenance. Itineraries and times are subject to change due to weather and traffic. The tour guide can only speak in Japanese. 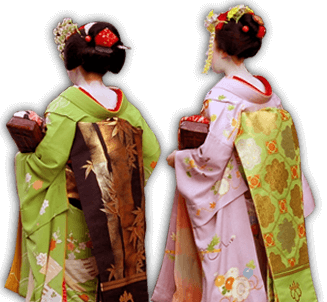 Call from Japan: 050-5805-0383, from overseas: +81 (50) 5805-0383.
Business Hours: 10AM-2PM; 3PM-7PM Japan Standard Time Everyday.